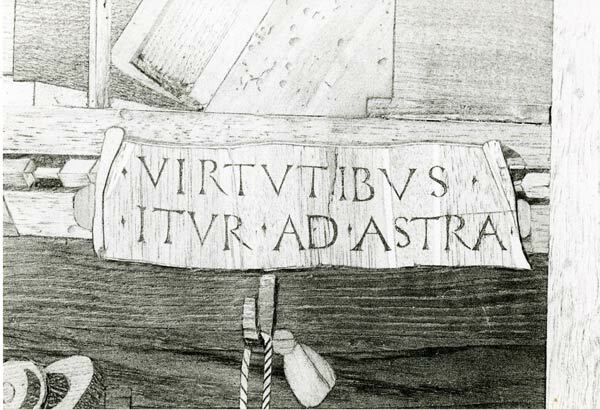 Detail of "virtutibus itur ad astra," north wall, Urbino studiolo. Source: Photo by author with permission of La Soprintendenza per i beni storici e artistici delle Marche. This photograph was previously published in Chora Four: Intervals in the Philosophy of Architecture, eds. A. Pérez-Gómez and S. Parcells (Montreal: McGill-Queen’s University Press, 2004).